yep I'd say a almost NIB Thor is worth an easy $120. I'd bet it would sell on ebay for $150-220. The red one has no springs? 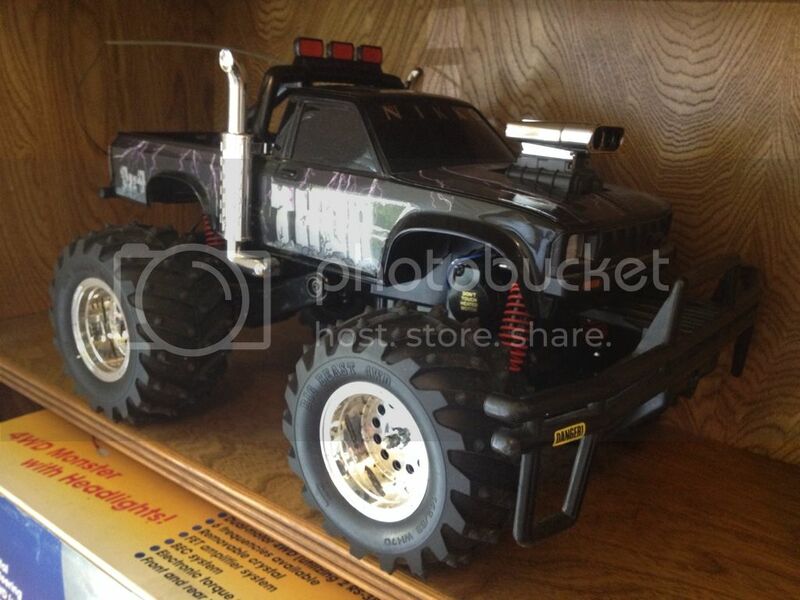 Haha they are there if you look just above the tires. Kinda took it at a low angle so you cant see them real well. 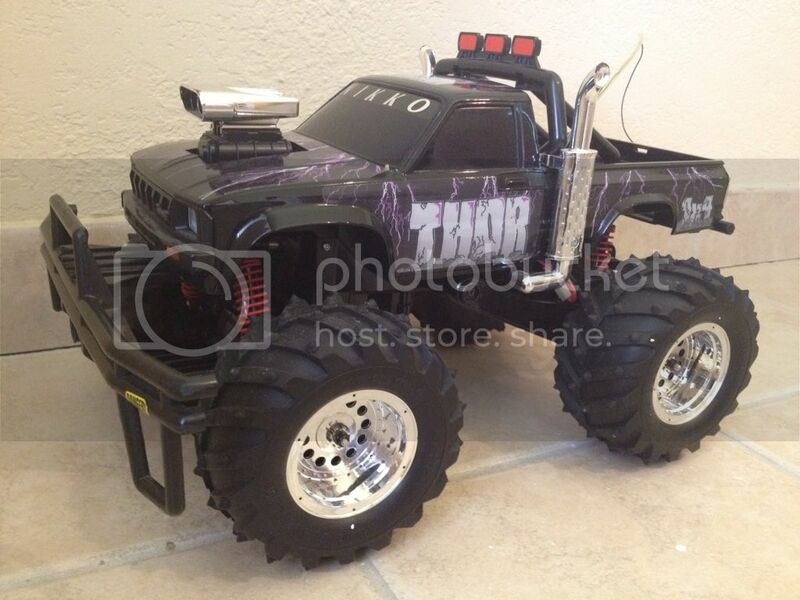 I also found someone selling 4 thor type trucks a bandit and 2 twin turbo lambos for like 200. I almost bought them but all were in good to so so condition. Thats pretty reasonable. Lambos and bandits allways get good money on ebay. You could of gotton your money back on just those 2. Im still tempted to buy them but im waiting for some better pictures. 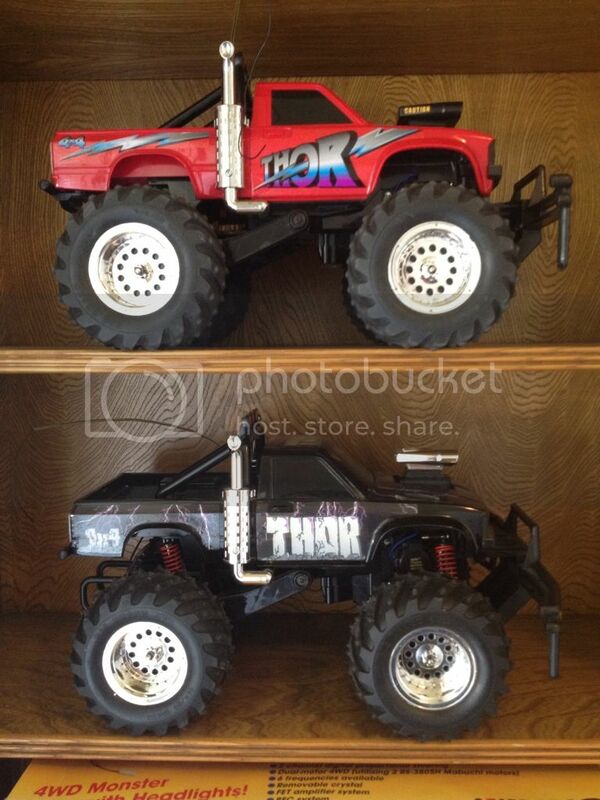 I know that the lambos are both missing their wings and that the "thor" trucks supposedly all like new except 1. 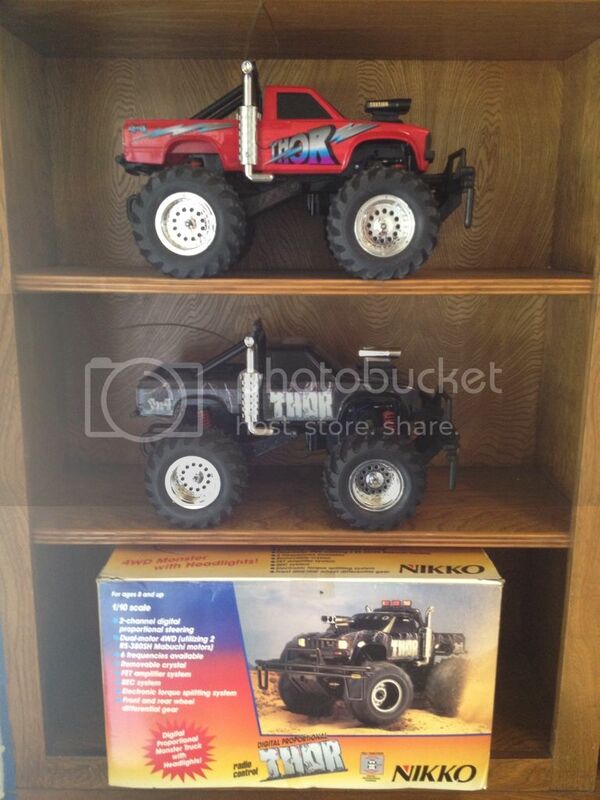 One is a midnight crusher, chrome/black thor, Red thor and an orange truck. 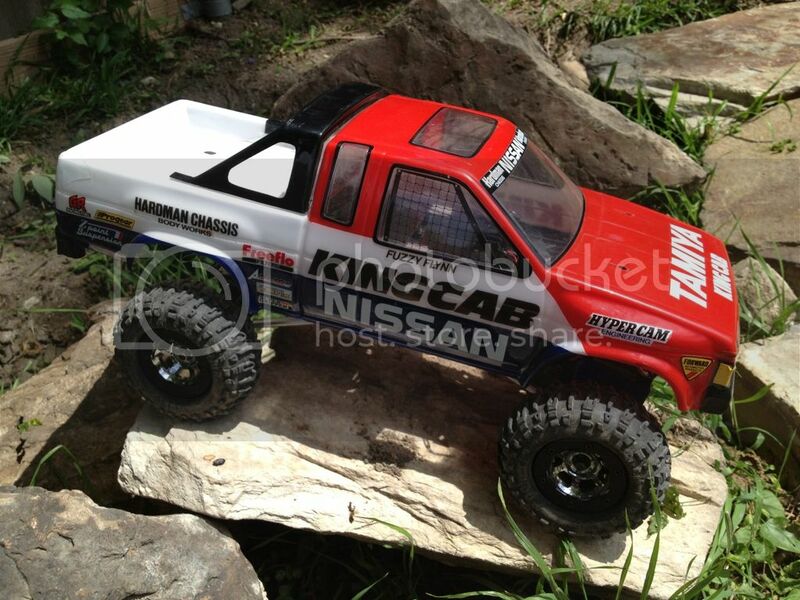 Tyco bandit King, I just saw that exact picture on eBay a few days ago. Did you recently sell it?